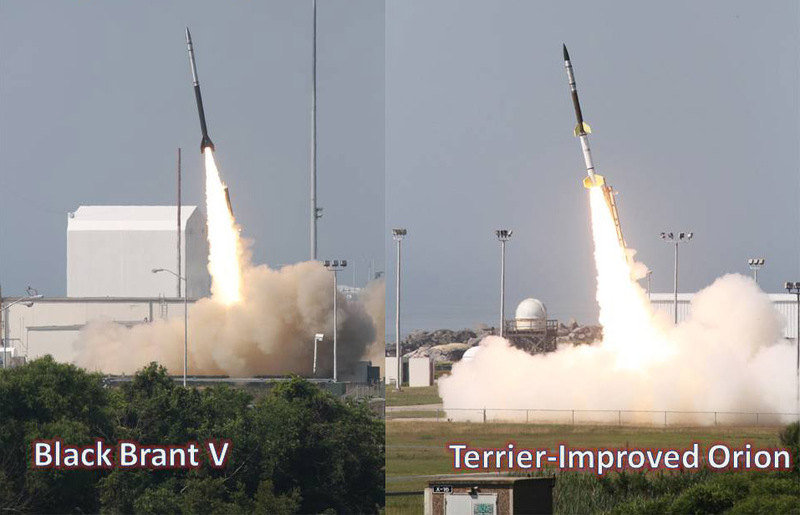 NASA’s Wallops Flight Facility in Virginia successfully launched two NASA sounding rockets carrying experiments to study the ionosphere on Sunday, July 10, 2011. Rockets are probing mysterious electric currents found in the uppermost reaches of the atmosphere that can disrupt satellite signals.Ionosphere is filled with electrically charged particles such as protons and atomic oxygen created by extreme ultraviolet radiation from the sun reacting with air molecules. Scientists want to learn more about the ionosphere because communications and GPS satellites beam signals through it, and disturbances in this region can distort signals. According to Rob Pfaff, the project scientist for NASA’s sounding rocket program at Goddard Space Flight Center in Greenbelt, a better understanding of our own ionosphere will help understand planets elsewhere in the universe, any planet with an atmosphere is sure to have these currents.Scientists are launching four rockets from NASA’s Wallops Flight Facility in Virginia for a five-minute journey about 100 miles (160 km) up into the atmosphere. These rockets will collect data on the charged and neutral particles to learn how each affects the other to ultimately create the dynamo currents.